This is the story of Brooke Birmingham and a very superficial society and insensitive. Brooke has decided to tell the whole truth and to denounce the Shape magazine, specializing in diets and fitness . A few weeks ago, the magazine asked Brooke to tell his experience, his change and its great weight loss obtained thanks to some diets were read in a magazine, sharing his thoughts in the section “Success Story”. She immediately agreed: its history could have been an inspiration to many other girls with weight problems. The magazine and Brooke agreed to an interview, the girl told how her life has changed, gave some tips to lose weight more easily and shortly thereafter also sent a couple of photos to show his transformation. A few days later, by the editors get an email in which the journalist thanked Brooke for availability, but states that the director of the magazine wanted another picture to be attached in the interview, maybe dressed. 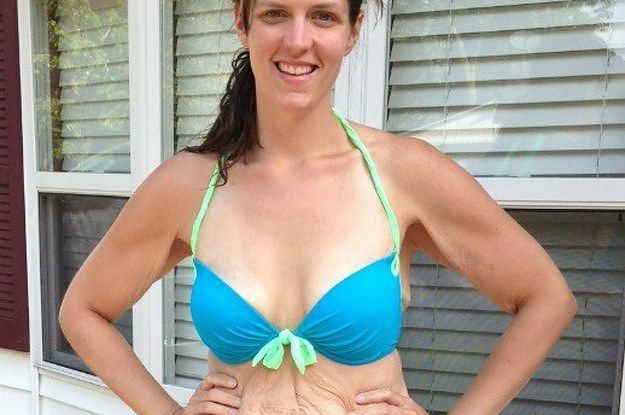 Brooke had sent a picture of her in a bikini, a photograph where it was obvious weight loss, but also the collapse of the physical, the excess skin that was struggling to disappear from the belly and arms. Pounds lost, of course, but it did not look the best. But Brooke was not ashamed of, that it was her, and that picture best represented throughout his career. What it had become. About Shape Magazine there are many women in bikinis, is just what the added value. Yet the photograph of Brooke had been rejected, deemed unsuitable to the glossy pages. A truth that was omitted. Brooke has not accepted the conditions of the manager and responded to the magazine, claiming that the reality on her weight loss was that picture and that picture, along with all that was, was not to be censored. 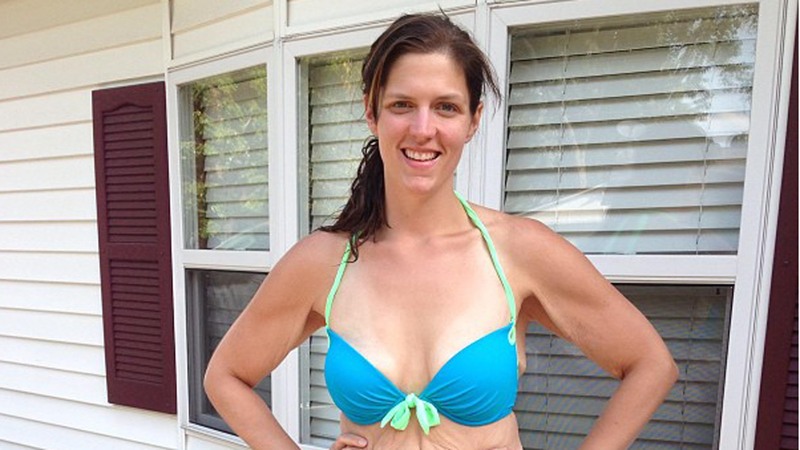 Many lost pounds, but a body that still needs much physical work, to be modeled. In short, the other side of the diets. The correspondence between the journalist and Brooke goes on for days. The interviewer did not give up and continues to insist on getting to send a photo in which at least Brooke wore a T-shirt. Demonstrate how a woman could lose many pounds is an incredible publicity for the company Shape, but Brooke accuses the magazine of lying and retouch photographs that should instead demonstrate the reality hundred percent and above all send a different message, namely, that we must accept always as it has . Who decided what the overdue?! Who set the rules of the “perfection!”?! Brooke now feels whipped and very angry. Perhaps Shape should take off all those pictures in bikini, definitely false, and show instead that of Brooke, real in their imperfection. A body so it can give hope to the people, but without delude. He is healthy even without abs of steel and the woman’s effort should be rewarded, however. Brooke has it tried hard, has upset his diet, it is also committed in the days toughest, never giving up. Pity though, that despite the fine words with which one fills the mouth, we still live in a society where beauty is unattainable and where the imperfections are not accepted as a little something. They should all be dressed alike, with the same physicality, the same hair, the same way of walking. In a world like ours seems to be forbidden to normal, have the belly to be clumsy . Who is not within the established norms should only be ashamed, just as has been asked to Brooke. 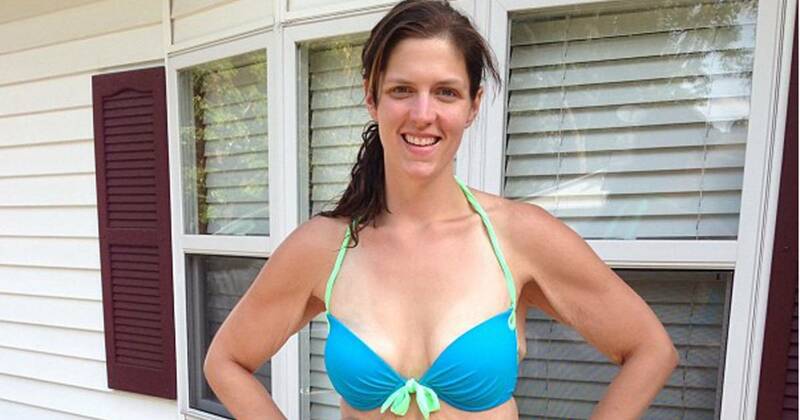 After he has hated for years his body, the request to send a photo dressed, did Brooke back into the abyss of depression and especially of ‘ insecurity. But she did not collapse. And his story about Shape has never been told. She did her on his blog, and now we are here to give it our full support. Enclosing pictures that someone else did not want to make public. Brooke strength. We are with you. Brooke Burke: "My Perfectly Imperfect Life"